​Over the past few weeks, we’ve been talking a lot about sales copywriting for the simple reason that you want to sell your products and services, and sales copy is just what you need to do it, easily and effortlessly. Whether it’s been sales copy mistakes or copywriting checklists for sales pages, we’ve covered it all. ​Today, I want to dive deeper and examine the 5 must-have ingredients for every sales page or email that you send out so you can not only make more money but also feel incredible about adding value to your prospect’s lives. ​These 5 foundational elements can make or break your copy. Period. ​Yes, I know it’s a bold statement to make, but I’ve written boatloads of sales pages and email sequences so, I know what I’m talking about. ​Here’s what you need to know… These core ingredients or elements are based on extensive testing, tweaking and study. So, I know that when you deploy them in your copy, you will see more people buying from you. Having said that, these are NOT the only elements to include in writing sales copy but they are the most important. Headlines can make or break your sales page. That’s right. Here’s an insider fact from my life as a sales copywriter: I write at least 30-different headlines before narrowing down my top 3 or 5. Yep! Sometimes, I even write 40-50 headlines. Why? … because I know that if your headline grabs your prospect, they will want to check the rest of your page. If it doesn’t, you’ve lost them right off the bat! While I will be doing a more detailed post on writing headlines, here is a quick video on how to write prospect-pulling headlines. 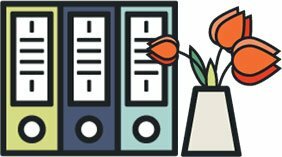 The second copy ingredient that your sales page will need is a solid, proven-to-work way to pull prospects into reading the rest of the page. Here’s how you can accomplish that. I’m pairing this with a sample headline so you can ‘see’ this element in action. I’m using the headline that we employed for our Good-for-You, Better-for-Business Marketing Plan service. This service sold out within days of launching so we can safely say that the headline works. Ask a question that relates to your headline. This is my favorite way of opening a sales page! Example: Do you want a proven-to-work system that will not only supercharge your productivity but also boost profitability? Do you need a marketing plan that isn’t cookie-cutter but carefully customized to help you accomplish your revenue goals without burning your sanity or budget to a crisp? ​Sales copywriting is all about persuasion. But the truth is that persuading prospects can feel a lot like bargaining with your tantrumming toddler at bedtime. ​Give prospects a solid reason to buy. Yes, I’m talking about the much-touted benefit statement here. But here’s the thing… Benefits, by themselves, don’t always cut it. You need to go deeper into the “real” desires of your prospects. Example: Discover the secrets to sales copy so you can write powerful emails is a good benefit statement. Want to know what’s better? 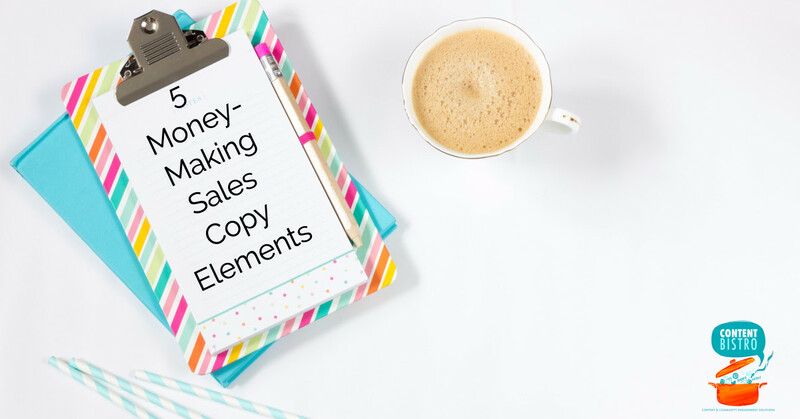 Discover the secrets to sales copy so you can write powerful emails and make more money with every send! Address objections, head-on. That’s right. This is a copywriting technique I mastered from Bushra Azhar’s programs and have since successfully used to increase conversions and sales for myself and clients. Your prospects will always have objections and while it is tempting to hide from them… you need to face them and more importantly, address them. Specific details work better than vague adjectives or superlatives. ​​You can employ simplicity in your sales copywriting by using shorter, easier-to-understand sentences, simple and quick-to-grasp words as well as my personal favorite – short paragraphs! ​Social proof is the 3rd element in this trifecta and when used right can give your sales a boost like nothing else. There are THREE key ways of establishing social proof and you can choose to use just one or all three. 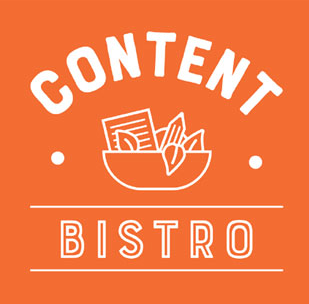 Places your work has been featured on, such as podcasts, websites, news channels, etc. Now the last one is a given. However, ensure that the testimonials actually help you sell more. While candy-coated testimonials give you the warm fuzzies, what you need is social proof that makes your prospect trust you. This ultimate guide to getting testimonials that don’t end up crushing your sales will help you get started smart! Finally and most importantly, show your prospects what their life is before your offer and what would it be like once they’ve used what you have to offer. Again, you can do this throughout the sales page by painting little pictures of their “before” – their struggle, their pain, their shame and their frustration and then, you can tie it up nicely by painting an “after” – highlight how your product will reduce their struggle, eliminate the shame, slay frustration and soothe their pain. ​You can do this by creating the “Imagine This” section that so many sales pages use or you can do this by virtue of a video demo that actually shows your product in action or a case study interview as well. ​So, there you have it. 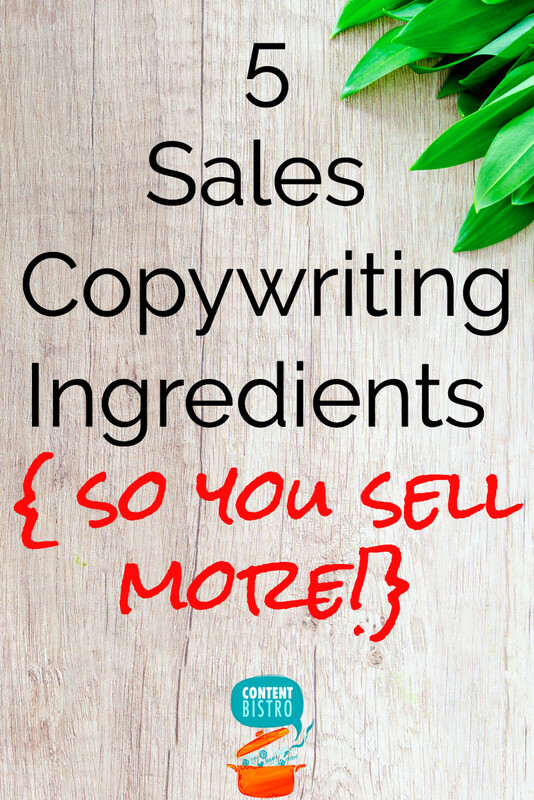 5 key ingredients that will take your sales copy out of Nowheresville and straight to Buyer City! ​Want to be the first to know when I open the doors to my premium, plug-and-play sales copy templates for selling out eCourses, services and more with stress-free ease? 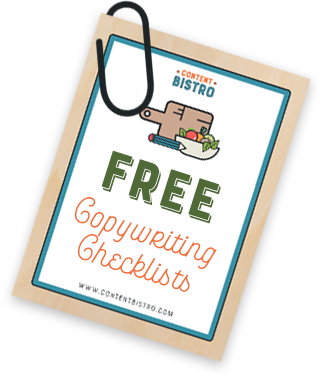 Plus, you’ll get instant access to my copywriting checklists too! ​Pop in your details below!